Proper kitten vaccinations occur at 6 weeks of age. Following this visit, your pet will need to be vaccinated every 3 weeks to keep up with their maturing immune system. One concern for felines is Feline Leukemia and Feline Immunodeficiency Virus. Once your kitten is of adequate size and age we will take a blood sample and test for these. From there, we will work with you to decide what the best route would be for your pet. 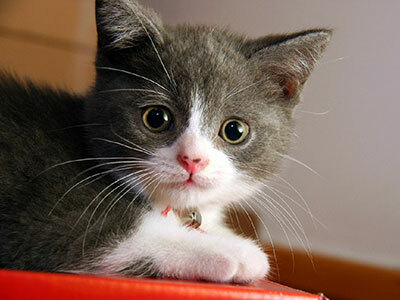 Other concerns for kittens are intestinal parasites. We ask that owners try to bring a stool sample during each visit so we can screen for these parasites. We will deworm your pet accordingly every time they come.